War communism or military communism (Russian: Военный коммунизм, Voyennyy kommunizm) was the economic and political system that existed in Soviet Russia during the Russian Civil War from 1918 to 1921. According to Soviet historiography, the ruling Bolshevik administration adopted this policy with the goal of keeping towns (the proletarian power-base) and the Red Army stocked with food and weapons. Circumstances dictated extreme measures as the ongoing Civil War disrupted normal economic mechanisms and relations. War communism began in June 1918, enforced by the Supreme Economic Council (Russian: Высший Совет Народного Хозяйства), known as the Vesenkha. 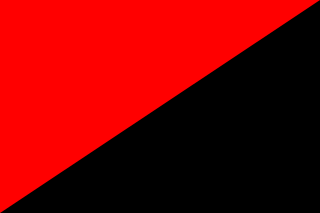 It ended on 21 March 1921 with the beginning of the New Economic Policy, which lasted until 1928. War communism was largely successful at its primary purpose of aiding the Red Army in halting the advance of the White Army and in reclaiming most of the territory of the former Russian Empire thereafter. A series of workers' strikes and peasants' rebellions broke out all over the country, such as the Tambov rebellion (1920-1921). A turning point came with the Kronstadt rebellion at the Kronstadt naval base in early March 1921. The rebellion startled Lenin, because Bolsheviks considered Kronstadt sailors the "reddest of the reds". According to David Christian, the Cheka (the state Communist Party secret police) reported 118 peasant uprisings in February 1921. A black market emerged in Russia, despite the threat of martial law against profiteering. The rouble collapsed and barter increasingly replaced money as a medium of exchange and, by 1921, heavy industry output had fallen to 20% of 1913 levels. 90% of wages were paid with goods rather than money. 70% of locomotives were in need of repair, and food requisitioning, combined with the effects of seven years of war and a severe drought, contributed to a famine that caused between 3 and 10 million deaths. Coal production decreased from 27.5 million tons (1913) to 7 million tons (1920), while overall factory production also declined from 10,000 million roubles to 1,000 million roubles. According to the noted historian David Christian, the grain harvest was also slashed from 80.1 million tons (1913) to 46.5 million tons (1920). Silvana Malle. The Economic Organization of War Communism 1918—1921. — Cambridge University Press, 2002. — 568 p. — (Cambridge Russian, Soviet and Post-Soviet Studies, Vol. 47). — ISBN 9780521527033. — ISBN 0521527031. ^ Polanyi, Michael. 1960. "Towards a Theory of Conspicuous Production." Soviet Survey (34, October–December):90-99. ^ Roberts, Paul Craig. 1990 (1971). Alienation and the Soviet Economy: The Collapse of the Socialist Era, Studies in Political Economy. Oakland, Ca. : The Institute. ^ Sheldon L. Richman, "War Communism to NEP: The Road From Serfdom" Journal of Libertarian Studies, Winter 1981, 5(1), pp. 89-97. ^ Christian, David (1997). Imperial and Soviet Russia. London: Macmillan Press Ltd. p. 239. ISBN 0-333-66294-6. ^ R. W. Davies; Mark Harrison; S. G. Wheatcroft (9 December 1993). The Economic Transformation of the Soviet Union, 1913-1945. Cambridge University Press. p. 6. ISBN 978-0-521-45770-5. ^ "Twentieth Century Atlas - Death Tolls". necrometrics.com. Retrieved 2017-12-12. ^ Christian, David (1997). Imperial and Soviet Russia. London: Macmillan Press Ltd. p. 236. ISBN 0-333-66294-6. The Red Terror was a period of political repression and mass killings carried out by Bolsheviks after the beginning of the Russian Civil War in 1918. The term is usually applied to Bolshevik political repression during the whole period of the Civil War (1917–1922), as distinguished from the White Terror carried out by the White Army against their political enemies. It was modeled on the Terror of the French Revolution. The Cheka carried out the repressions of the Red Terror. Estimates for the total number of people killed during the Red Terror for the initial period of repression are at least 10,000. Estimates for the total number of victims of Bolshevik repression vary widely. One source asserts that the total number of victims of repression and pacification campaigns could be 1.3 million, whereas another gives estimates of 28,000 executions per year from December 1917 to February 1922. The most reliable estimations for the total number of killings put the number at about 100,000, whereas others suggest a figure of 200,000. 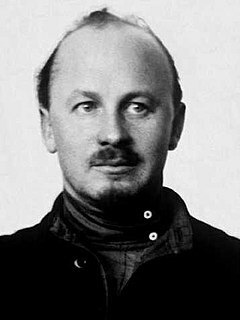 Dmitriy Manuilsky, or Dmytro Zakharovych Manuilsky was an important Bolshevik, who was a Secretary of Comintern, the Communist International from December 1926 to its dissolution in May 1943. The Revolutions of 1917–1923 were a period of political unrest and revolts around the world inspired by the success of the Russian Revolution and the disorder created by the aftermath of World War I. The uprisings were mainly socialist or anti-colonial in nature and were mostly short-lived, failing to have a long-term impact. Out of all the revolutionary activity of the era, the revolutionary wave of 1917–1923 mainly refers to the unrest caused by World War I in Europe.